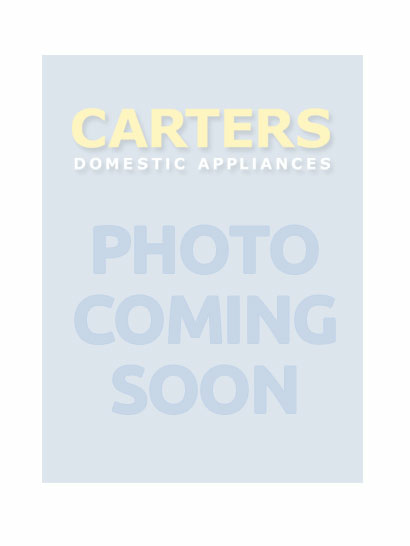 Built in /Freestanding Fridges Freezers & Wine Coolers at Carters in Sussex. 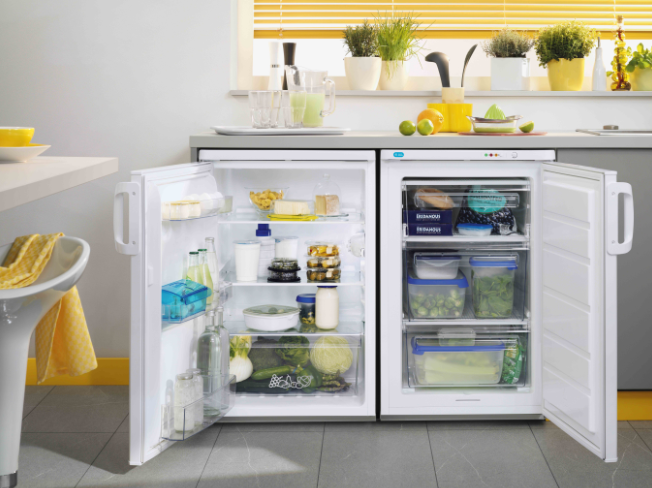 At Carters, we stock every kind of built in and freestanding fridge, freezer, fridge freezer and cooling combinations you can think of. In general, most such appliances will be housed in the kitchen or a dedicated room, such as a utility room. There are some models, from Beko, for example, that can be installed without issue in an unheated outbuilding. We offer both freestanding and integrated models; most of which can be delivered to your home in 24hrs at a time convenient to you. Ask about our competitively priced fitting service and extended warranty options as part of an after-sales service that we are proud of. Why not make statement with an American Side by Side Fridge Freezer, or impress your friends with a wine cooler that will keep red and white wine at the ideal temperature? Whatever your refrigeration needs you will find what you need at Carters. There is nothing worse than trying to defrost a freezer since it is a labour intensive exercise and one that can take many hours of your time. Then there's the problem of where to safely store frozen food, no matter how little of it there might be, not to mention the clearing up to do afterwards. Time then, to consider buying a freezer than can take care of all its defrosting requirements so you don't have to. Why not consider a chest freezer? They have been around for a long time. For many it is the ideal solution if there is need to store lots of food, and particularly if energy ratings are important to you. The heavier cold air will usually fall out of an upright freezer when the door is opened, hence the freezer has to work harder to maintain the optimum temperature. This does not happen when the counterbalanced lid is lifted on a chest freezer, since it is designed to stay in place when opened. Most chest freezers are not frost free; however, as long as they routinely defrosted before problems start, they should not give any trouble. The main cause of breakdowns and high running costs is a heavy build-up of ice. Reducing this build-up will significantly reduce the risk of expensive repairs, never mind the cost of inconvenience and having to restock the freezer afterwards. Which is the best upright or chest freezer to keep in a garage? Be mindful of the type of chest freezer you choose if seasonal ambient temperatures are likely to fall below 5°C, typically during British winter months. Keeping a freezer in a garage or similar outdoor environment, such as a garden shed, may invalidate the manufacturer's warranty, since the majority of models are not designed for use out-doors and may fail in use. There are currently only a handful of makes that can be safely placed in unheated outhouses; namely Beko, Blomberg and Liebherr. If you intend to use your freezer or fridge in an non standard environment such as an unheated building please mention this to our staff who will be able to select the correct model for your needs. You will find one of our stores in Brighton; Haywards Heath, Horsham, Southwick, Storrington, or Worthing; and ask a member of staff. Based on your refrigeration requirements, they will be only to happy to offer advice and help you select the best freezer storage for you. Choosing a new fridge from Carters gives you the opportunity to select an appliance from the widest possible range of brand leaders in refrigeration technology and innovation. With something to suit everyone, including budget friendly table-top models, by Lec, which are suitable for use in tight spaces. If it's something with a bit more presence you're after, then perhaps you might fly the flag with a freestanding, low-noise statement model from Smeg, complete with Union Jack feature door, and wine rack. Will it be integrated or freestanding?